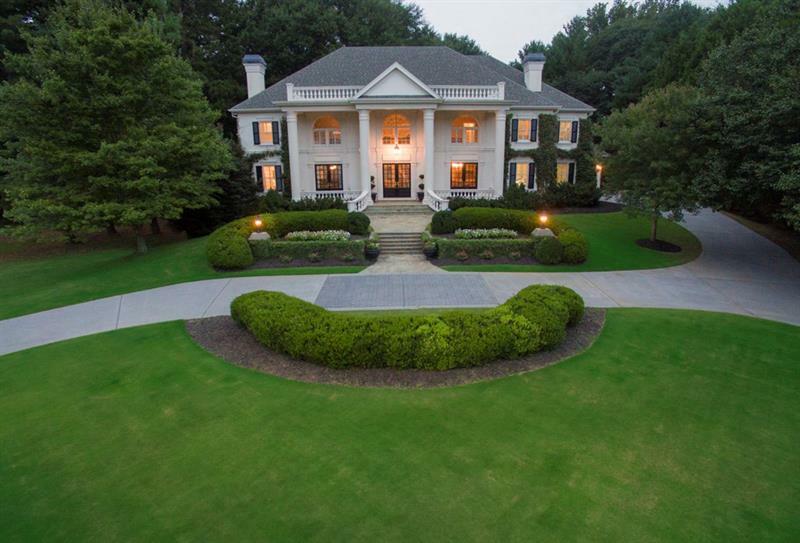 Grand Southern Estate designed in the Neo-Classical Revival style, boasts River Frontage nestled on 1.1 acres in Gated, Swim & Tennis Neighborhood. Art Dormity Built this home to perfection & the original owners remodeled the Kitchen w/ Quartzite counters, double Wolf Ovens & custom cabinets. Open floor plan, hardwoods, limestone flooring, High ceilings, spacious hallways, intricate molding, charming brkfst Rm, Study, Banquet sized Dining Rm.Mstr Suite w/ sitting rm and luxury bath suite.Full finished Terrace Lvl w/ bath & Home Theater, Bar & Game Rm area, Golf Rm+ Gym. A representative from Metro Brokers has received your request to visit 344 Caruso Court on at .